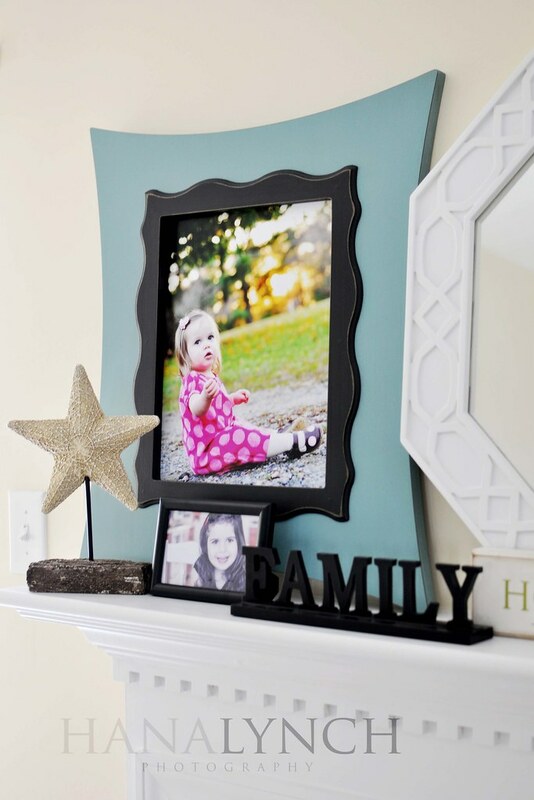 the MomTog diaries: What's on YOUR mantel? The Christmas tree is down as of 2 days ago. Every year while taking down my holiday decor I get the urge to redecorate my home in some way. The funds are usually pretty limited following the excess Christmas spending so going out to buy new furniture and accessories is not an option for me. This year I decided to redecorate my fireplace mantel. I used some pieces that were already there and added a few other things from around my home. I also updated photos. I'm not an interior designer so it's not symmetrically perfect and the mirror still needs to be hung but it's been leaning against the wall since I bought it over 2 years ago. The style of the mirror is probably not the best choice but it was on clearance at Target when I bought it. All it needed was some paint (it was a sickly greenish white). The rest of the accessories are things I've acquired from Garden Ridge or Hobby Lobby...two awesome places to pick up knick-knacks for cheap! The birds were from gift shoppes. The beautiful aqua frame is from Wild Sorbet. I ordered this one as a sample to show clients. 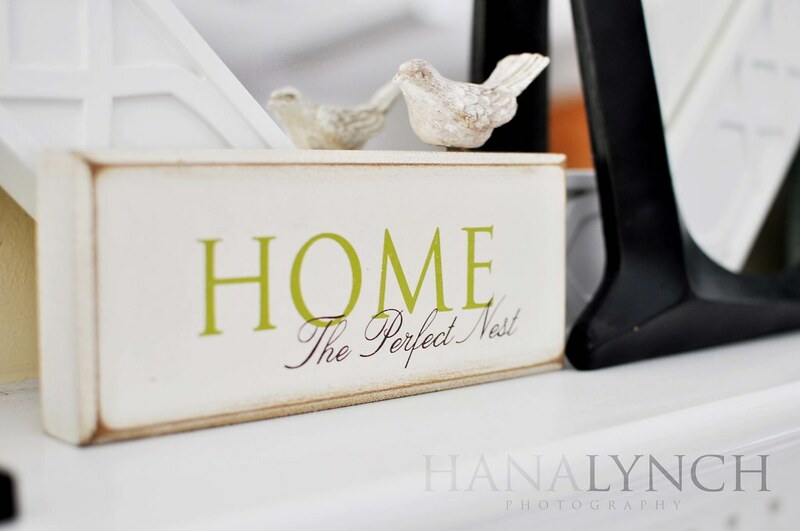 They are fully customizable (frame style, trim style, colors, etc) to fit your home's decor. I absolutely love mine! This sweet little sign was a Christmas gift from a dear friend! She knows me too well and knew I'd love it! Thanks Trace! 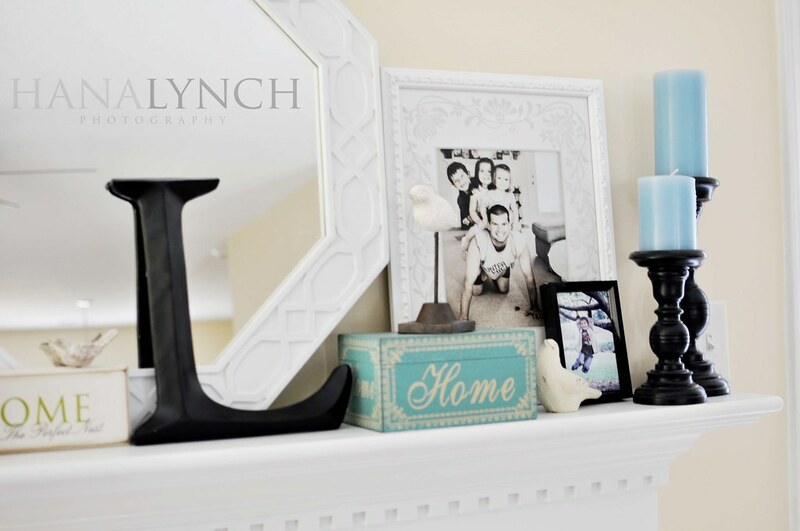 So, what does your mantel look like? Maybe it has a beautiful piece of art or maybe lots of family photos. How about stacks of old books and a few candles? I'd love to see what graces your mantel. Whether it's fancy or plain and simple. Upload a photo to your blog and then enter the link into the Mr. Linky below! Have a great Monday and let's see those mantels!! My mantle is BORING! But you are inspiring me to do something different! I thoroughly enjoyed looking at your photos and reading your post! I think asymmetrical is great! 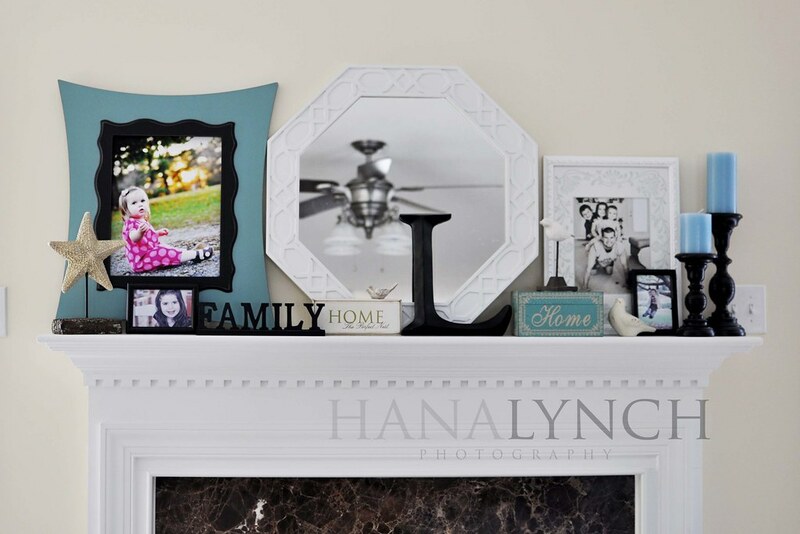 Your mantel decor shows your love of family and home. What could be better! My mantel is not exactly stunning right now. I do like the basic design, however. You have inspired me. So perhaps I will work on it and come back here and link up.